The keyword throughout seems to be “solutions”, which is great for industry, as suppliers and service providers are increasingly looking into ways in which they can help businesses improve, and not just focussing on selling them products. This approach will benefit everyone across the board – not at least because it should make an interesting expo in Nuremberg! We are very pleased to be displaying with GESETE GmbH, our German distribution partner of 10 years. GESETE specialise in systems tailored to customer-specific requirements– for small bottling lines up to high performance canning lines – also with special blow-off units for crown caps or ring-pull. Packaging Drying Systems include BASICLINE, COMPACTLINE ECOLINE and HIGHLINE compact systems for new projects or retrofitting onto existing filling lines, as well as integrated adjustable mounts for the quick and accurate positioning of the air devices. Like SolvAir, GESETE focus on creating systems that meet customer requirements, ensuring excellent return on investment by providing energy saving and energy efficiency – which will be the focus of our display! 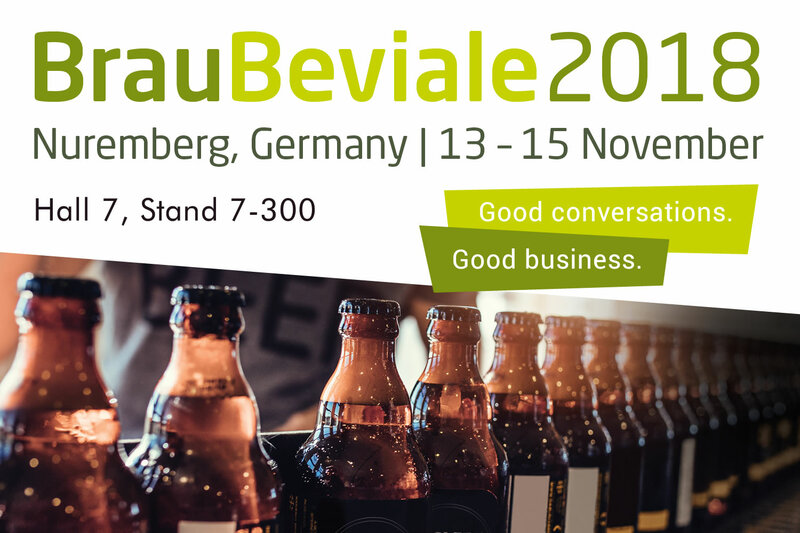 SolvAir and GESETE will be on site for the duration of BrauBeviale 2018, and we will be highlighting the customisable nature and adaptability of our precision Air Knife Drying systems. Clever engineering means that energy efficiency – and therefore energy savings – are achievable for all businesses, irrespective of size and output. We have worked with a range of industries, and as well as designing systems for the Beverage industry our products have also been tested in industrial and electrical, automotive and aerospace and rubber and plastics settings. At BrauBeviale 2018 our demos will showcase a selection of our products, and will also highlight how, as a result of energy savings and minimal maintenance costs, our systems often pay for themselves in less than 12 months. We will be available for discussions throughout the events, and will be really interested to hear how businesses are addressing their energy and outputs targets. If you would like to have a chat, or see our products in action, please drop by Hall 7, Stand 7-300 between the 13th and 15th November!